Vitamin B12, or methylcobalamin, is essential to growth, cell reproduction, blood cell production, and supports the health of brain and nervous system cells. At The Organic Compounding Pharmacy we work closely with doctors and naturopaths who prescribe methylcobalamin injections. The injections can be used to treat or aid in a variety of issues. Methylcobalamin injection is found to boost immunity throughout various systems of the body. It helps fight the decay of aging at the cellular level. Methylcobalamin can lead to improved memory, higher concentration, and sharper mental energy. It is well-known to be an energy boosting supplement. Methylocobalamin injection is a great treatment for anemia. It also fights heart disease and lowers overly high homocysteine levels. Methylcobalamin improves mood and offers stress relief. Our methylcobalamin injection are made from natural sources and are also preservative free. 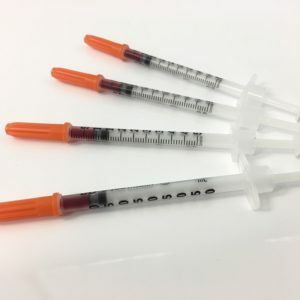 We can also compound methylcobalamin injection in Pre-Filled syringes which are easier to administer. 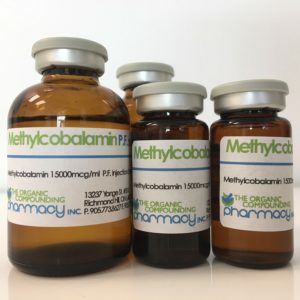 We compound our methylcobalamin injection at a variety of different strengths to our practitioners request. Often times, methylcobalamin injection are covered by third party insurances. 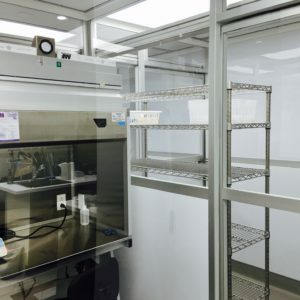 At The Organic Compounding Pharmacy we have a state of the art Sterile Room where we compound all of our sterile injections and eye drops. It is HEPA certified and conforms to all ISO CLASS NAPRA guidelines. If you have any questions regarding our Vitamin Injections, don’t hesitate to contact us!